We have been hearing about “Level 5 Leadership” since Jim Collins’ book Good to Great became popular over 5 years ago. This book made the term “Level 5” a common phrase in business circles. While the term is often used, it is not often understood. Even worse, many people believe they understand what it is and may spend energy developing themselves in ways that do not actually produce the results they hope to create. I believe we can now measure “Level 5 Leadership” with a high degree of statistical reliability and create development programs that help move leaders toward this goal. While being a “Level 5 Leader” does not guarantee the leader will successfully transform an organization, it is a powerful indicator that success is more likely. This article will cover key concepts about “Level 5” Leadership such as: What is a “Level 5” Leader? How many levels are there? How would I measure developmental levels including “Level 5”? How will understanding “Level 5” leadership impact my organization’s success? How can I use this information to become more successful? This will help people better understand the basics of this theory and how they can apply it to improve the likelihood of success. Why, as a leader, do I care about developmental levels? According to the research, companies led by “Level 5 Leaders,” are significantly more likely to successfully transform their organizations. 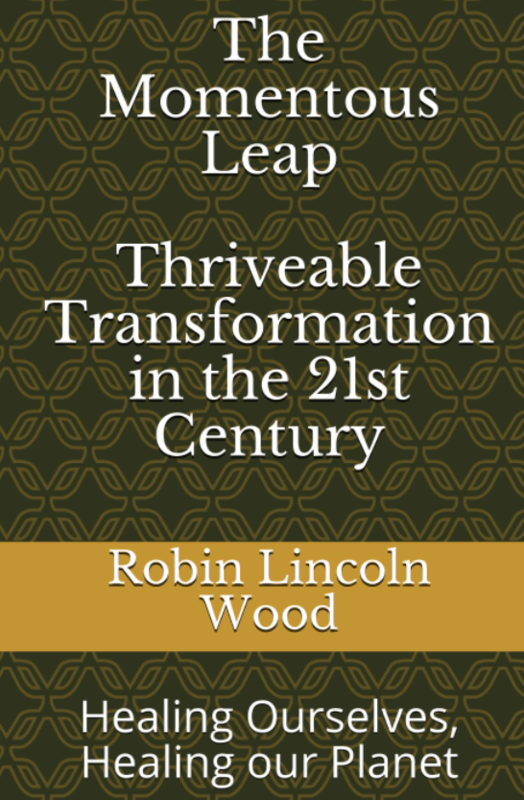 Given the amount of time and money organizations spend on transformations including: mergers and acquisitions, expansions, new product launches, business process redesigns, and implementation of large computer systems like SAP and Oracle, organizations can benefit significantly from hiring and/or developing people to “Level 5.” I will briefly introduce developmental levels then return to how they impact leadership success. 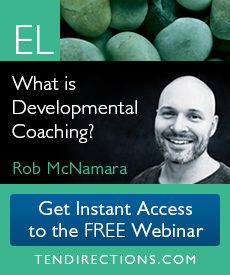 What are developmental levels and how do I test for them? The term developmental level can be described in several ways, one is different ways of “meaning making” (how each of us make meaning of experiences) most commonly available in professional environments. To determine meaning making, the evaluator looks at cognitive, affective and behavioral questions. An example of meaning making occurs when we receive feedback. Individual responses could range from absolute rejection, because I interpret the feedback as a personal assault, to believing that feedback gives me valuable information about my performance as well as the values of the person providing the feedback. This article presents the seven most common of those meaning making approaches in greater detail. Developmental level significantly influences how one sees one’s role and function in the workplace, how one interacts with other people and how one solves problems. Susann Cook-Greuter developed the Leadership Maturity Framework (LMF) to describe developmental levels as part of her PhD at Harvard University. This is the theory we recommend, because it is supported by an assessment tool, the SCTi-MAP, which measures an individual’s developmental level. This is currently the most rigorously validated, reliable and advanced assessment tool to assess adult leadership developmental levels. It is based on the Washington University Sentence Completion Test (WUSCT) created by Jane Loevinger in 1978. Bill Torbert, Professor of Management at Boston College, created new labels for the stages and added the concept of action logics. While we refer to people as being at a developmental level, the test scores actually reflect the range of responses individuals give. Most people’s scores reflect a range of as many 6 or 7 developmental levels. Many people have a center of gravity with about 25% of their scores at the level below. This reflects where they are consolidating into the center of gravity. Additionally, they generally have about 25% of their answers at the level above their center of gravity. Answers above their center of gravity reflect their growing edge. For people using the SCTi-MAP as a tool in their development, the scores and specific feedback provide valuable information that will assist the individual to become aware of data with regard to growing edge and lagging edge. Leading edge represents the areas where one is developing toward a later developmental level while lagging edge represents the areas one is consolidating from earlier developmental levels. 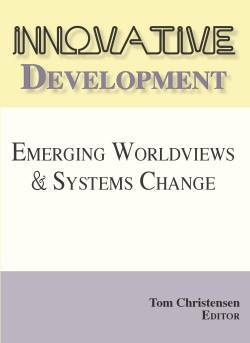 With a greater understanding of what a developmental level is and how we assess leaders to determine their level, I return to the discussion of why development matters. Collins provided some strong indicators of what Level 5 Leaders might look like. One could interpret which levels as tested by the SCTi-MAP might correlate to “Level 5” ranging from Achiever to Strategist. I take the position that “Strategist” is the level that can accomplish the transitions Collins describes. I base my hypothesis on work with the SCTi-MAP, experience with leaders across multiple organizations, and additional research. One research study I found influential was conducted by Torbert and Rooke (1998). “In ten longitudinal organizational development efforts, the five CEOs measuring at the late Strategist/Leader stage of development supported 15 progressive organizational transformations. By contrast, the five CEOs measuring at pre-Strategist stages of development supported a total of 0 progressive organizational transformations (no change in two organizations; a three stage regression in one organization; and three stages of progressive development in two organizations). The progressively transforming organizations became industry leaders on a number of business indexes. The three organizations that did not progress developmentally lost personnel, industry standing, and money as well. A second study of the ten organizations four years after the first showed that the ego development stage (developmental level) of the CEO now accounted for 73% of the variance of whether the organization transformed in a developmentally progressive way. While the Torbert and Rooke study looked at the impact of the CEO’s developmental level, they also considered the impact of having at least one person on the leadership team or in an advisory role that consistently functions at this level. The advisor may be a leader, an employee, or a consultant. The important factor is that their advice is given strong consideration in key decisions about business transformation. My experience with clients who have taken the SCTi-Map tends to support this hypothesis. At the Strategist action logic, leaders demonstrate many skills and behaviors not as visible at earlier levels. Some of these behaviors include: an increased ability to take the perspectives of multiple stakeholder groups and find solutions to balance the interests of many differing points of view, balance long and short term interests, and make decisions based on an internal compass over the external pressures. These qualities increase the likelihood of success in transforming organizations. I have worked with leaders who do not demonstrate “Level 5” qualities and have found some consistent themes that have adversely impacted their ability to successfully implement change. The following example is drawn from a composite of several individuals with whom I have personally worked. Steve Bailey was the CEO of a mid-sized company. He was very smart about his company and industry. Normally quite personable, he yelled and belittled his executive team when he became angry. Ineffective at accepting input from others that differed with his own, he demeaned his staff so that his highly skilled team stopped providing differing points of view. Indeed, he had exceedingly high turn-over in his executive ranks, well over 50% for a couple of years. The company began losing money. At this time, his Board charged him with growing the business through acquisition. He hired a coach and made some surface improvements, but did not make sufficient changes in time to save his job as CEO or turn the company around as the Board had required. One of his former employees who left under unpleasant circumstances has gone on to lead international operations for a company that has one of the strongest brands in the world. This indicates that this CEO’s behavior directly caused the loss of highly talented and dedicated employees and adversely impacted business performance. Conscious of the importance of communication “Walk the talk” becomes an expression of one’s moral character and authenticity. Additional material on development levels can be found in the Appendix to this article. There are some basic principles that serve as a foundation for applying developmental theory as we currently understand it. Specifically, before considering applying this theory to an organization, it is important to understand some foundational elements. An understanding of the levels alone is a good start, but just the beginning. Before exploring the basics, it might also be helpful to explore a few elements of the discussions taking place in the developmental community. One key element relates to the connection between development and life conditions. As a student and practitioner, I believe that the environment is a significant factor in shaping an individual’s behavior and can even impact the center of gravity from which an individual operates—the individual can regress to earlier levels or develop to later levels based on environment. Disorienting dilemmas can help a person get “unstuck” from a current level and reconsider how they see the world. An example of a dilemma could be a heart attack that causes an individual to reevaluate how they live their life, what and who they invest their time in. In some cases, this inquiry could allow the individual to move to a later action logic or developmental level. Another individual could respond differently, staying at the same developmental level or even regressing to earlier developmental level. An example of this could be the individual with the heart attack could believe he was guilty of bad behavior by eating poorly and not exercising properly. This individual could address the external physical causes of health without giving any additional consideration to meaning of life or how he lives his life beyond diet and exercise changes. In these two cases, the individual attributed some meaning to the events in his life and responded accordingly. This external situation could support growth or regression depending on a complex set of circumstances that could include the dilemma, how the individual interprets the dilemma, the developmental level of the individual’s support system, the willingness of others to support or promote development, and the individual’s internal readiness to develop. While this discussion is brief, I provide it as a preface to the statements below. While they appear absolute, each individual person responds differently to the situation they find themselves. I offer these basics as general guidelines for putting developmental theory into practice. All levels are necessary to make the organization successful. The goal is to help people develop—this may mean becoming more effective in their current level as not everyone will grow to the next level. Many people will become far more effective by focusing on enhancing their ability at their current level. We grow through developmental levels—there is no skipping a level—we must develop the skills and perspective each level has to offer. Basic needs at our current level must be met before moving to later levels. Alignment is key—finding out which level a person is most comfortable and effective in along with where they fit within the organization is critical to the success of the individual as well as the organization. Developmental level is generally one important indicator of appropriate placement within the organization; hiring and promotional decisions should also consider other key selection criteria such as skill set and experience. For overall organizational success, it is important to create an organization that promotes the health and success of individuals at all developmental levels along with an environment where those that want to grow have appropriate support, challenge and encouragement. Developmental level is a description of the way each person is most likely to act in a situation or conflict. How a person actually behaves is influenced both by thought processes, emotions and the surrounding organization’s structure and culture. Those functioning at later levels have access to more comprehensive thinking. They are able to take the perspective of a broader range of stakeholders and craft solutions that better meet multiple objectives. People who score at Individualist and above become more motivated by their internal values than external position and title. Consequently, many people who are testing at “Level 5” are not interested in leading large companies unless they have a passion about the organization and its’ purpose. This shift in focus as one develops makes retaining Level 5 Leaders even more difficult if the organization is not changing along with the leader. This is particularly poignant as organizations identify high potential leaders who may be earlier in their careers and not yet in a position to significantly influence the organization. The organizational structure, culture and processes can create a “conveyor belt” to support development or it can create an environment that blocks development. Often the individual and organization will function at different levels. If the organization is functioning at a later level than the individual, their organizational environment will encourage individual growth. If the organization is functioning at an earlier level, the individual will experience barriers to growth. In cases where the individual and organization function at differing levels, an individual may benefit from coaching to help him/her function most effectively. Another client, Sarah Blackburn, tested at “Level 5” and did successfully influence dramatic changes within an organization that would be characterized as stable and change resistant. She developed strong relationships with key individuals very quickly. She structured weekly sessions with the entire leadership team to ensure everyone saw the President’s commitment to the project and so the President could see who was not showing commitment with their actions. This Level 5 Leader determined what needed to happen for the change to be successful on Day 1 and implemented a plan to track “Day 1” metrics far in advance of the change. She was systematic in her approach and worked with individuals at all levels of the organization to understand their points of view and help them see a path forward to allow them to change personally. When individuals demonstrated behavior that would put the project at risk, she acted quickly and decisively. She continually monitored her approach and changed course very fluidly when appropriate. One could easily underestimate this woman by looking at her title or office décor as she was not focused on the trappings of her role. Another important element was her passion for her community and family. While she was quite dedicated to her job, she also had a life outside of work. She climbed mountains and crossed the Sahara desert on camel back while I worked with her. Her many “Level 5” qualities allowed her to steer a very difficult organization wide change to successful completion. What are the levels and what is the distribution of people at each level? Table 2 was developed by Susann Cook-Greuter as a summary of the distribution of developmental levels across multiple populations. The percentages reflect the percent of SCTi-MAP scores at each developmental level based on the sample set they were pulled from. This chart was provided by Susann Cook-Greuter www.cook-greuter.com. The data indicates that the group of Managers and Supervisors in the US reflects a lower developmental level than either the USA mixed population or the Managers and Consultants in the UK. How do I identify the people in my organization who are at or close to “Level 5”? How do I identify our high potential leaders and provide the support they need to develop? How can I position these people in key roles of influence? How do I create a business culture, structure and processes that enable our company to attract and retain “Level 5” individuals? How do I identify people outside of my organization who are “Level 5” or close to hire them? Can I “rent” this talent by hiring consultants who test at “Level 5” while I am building internal capacity to augment our transformation team or leadership team? What can I do and/or what can my organization do? Because the research indicates that having a “Level 5” individual involved in the transforming organization may increase the likelihood of success, I recommend several options that taken as a package may help enhance your organization’s ability to successfully transform. I have seen various combinations of these recommendations support sustainable change in my client organizations. The goal is to have access to “Level 5” thinking in a role where their recommendations are given serious consideration – it is not necessary or even advisable to have a management team who all test at “Level 5” as each level has its unique gifts and talents. Administer the individual developmental assessment SCTi-MAP to determine the developmental level of people in the organization. Provide feedback and on-going coaching to help individuals develop as measured by the SCTi- MAP criteria. Provide coaching that supports individuals in their growth either in their current level and/or in growing into the next developmental level. Conduct an organizational assessment to evaluate your organization’s ability to grow, support, and retain “Level 5” leaders. Develop questions that point to “Level 5” development when hiring new employees. While it is not appropriate to use the SCTi-MAP assessment as a hiring screen, it is appropriate to design behavioral interviewing questions that will identify key behaviors associated with “Level 5” leadership. Create Leadership Development program(s) designed to help your current and high potential future leaders become more aligned with the “Level 5” Leadership criteria. Provide “Level 5” consultants to augment your leadership team for key transformational initiatives while your organization either hires or develops internal leadership to “Level 5” capability. 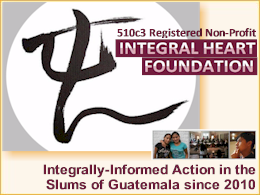 My company is working with a client who runs a not-for-profit organization. The organization has more than doubled in size over the last 6 months. In the process of these changes, the organization has not only hired additional people, they also took on several additional functions and increased the level of process sophistication necessary to support the additional staff. We provided executive coaching to the CEO who has taken the SCTi-MAP and is actively using the organizational transformation as an opportunity to develop and to enable his organization to transition. In addition to coaching, we have also introduced tools and processes that support successful transformation of the leader and the organization. One of these tools involves adding process measures and feedback loops both qualitative and quantitative to assess the impact of the changes on the leader, the employees, and the external stakeholders. These feedback loops allow the organization and the individuals to learn from their efforts and create a culture of ongoing testing and learning rather than viewing this transition as a one-time change to “get through” rather than a change in the thinking of the individuals and the organization and one of many upcoming transitions. While “Level 5 Leadership” will not solve all of your organizational problems, it is a key component in facilitating organizational transformation. We can assess leaders to identify capabilities and gaps between current level and desired level. The assessment results will provide critical information for the organization that can serve as the foundation for a plan to close gaps that could include: coaching, leadership development programs, revised hiring criteria, and hiring “Level 5” consultants. When you ensure that your leadership team has people who are assessed as “Level 5”, the likelihood of successfully meeting goals and realizing long term benefits increases dramatically. 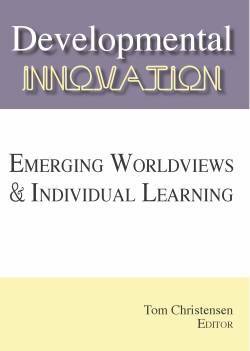 The following appendix provides a brief summary of key components of each developmental level. I want to offer a note of caution. It is helpful to begin thinking about where you perform yet it is very difficult to accurately evaluate others. The information in this appendix can be a first step to help you work more effectively with others in a larger process of development. I created the following table based on the research and recommendations of Susann Cook-Greuter. It describes the levels we see most often in adults. David Rooke and William R. Torbert (1998). “Organizational Transformation as a Function of CEOs’ Developmental Stage.” Organization Development Journal 16, 1, 11-28.